Colin Berry is a freelance arts and design writer who lives in Los Angeles. He is the author, with Isabel Samaras, of On Tender Hooks (Chronicle Books). Kevin Berry (left) and the author posing in front of another of his racers. 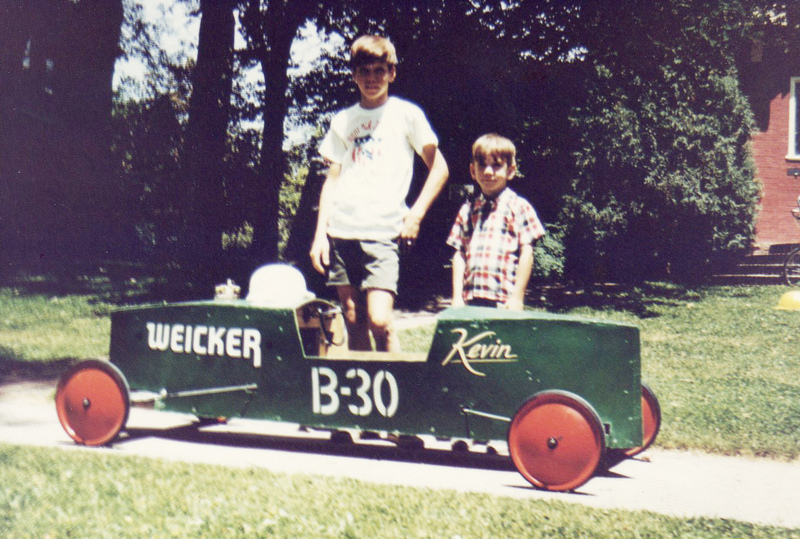 Was building a Soap Box Derby racer my brother’s last best chance at escaping his fate?